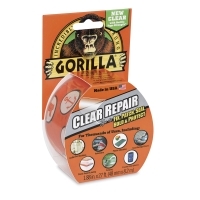 Fix, patch, seal, hold and protect just about anything in your home or studio with Gorilla Clear Repair Tape. No other tape offers its clarity, strength and durability — or its virtual invisibility. 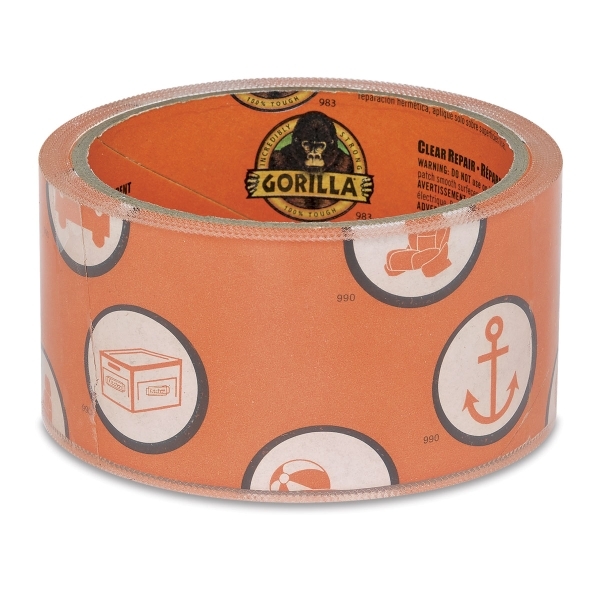 This tape offers the strength of Gorilla Tape in a weatherproof, airtight, crystal-clear tape. Easy to tear by hand, it may be applied to almost any surface. The roll measures 1-7/8" × 9 yards (48 mm × 8.2 m). ® Gorilla is a registered trademark.